Not a full trip report here, but I thought I'd share some pictures from a nice day hike I was able to do last week while I was in western Michigan. 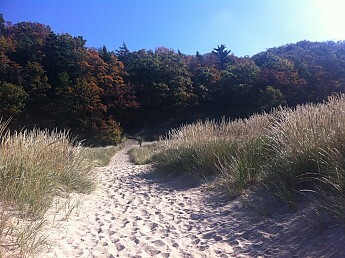 I was in the area for work but had a free day midweek, so I asked some locals where to hike and Saugatuck Dunes was their answer. 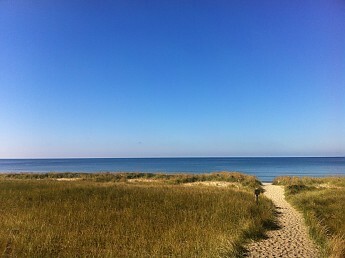 Saugatuck Dunes State Park is a 1,000 acre park with roughly 2.5 miles of soft sandy Lake Michigan shoreline and 13 miles of mostly forested trails. While not among the more famous dunes along the Lake Michigan shoreline, some at Saugatuck are in excess of 200 feet tall. The sun was bright and the sky was clear, but I noticed a considerable drop in temperature as soon as I stepped into the forest and hit the trail. The forest had large stands of pine and many old oaks, which hadn't shed their leaves yet, so the trail was dark and cool until I hit the beach. The bright sunny sand dunes. Apparently people can't read the signs that clearly state, "No dogs on the sand dunes or beach." I sat for almost an hour just listening to the waves and watching gulls. 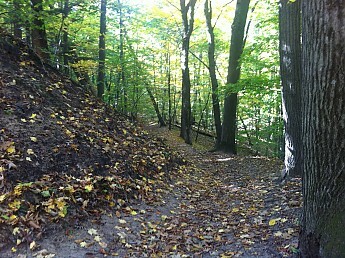 The trail back up the dunes and into the forest. 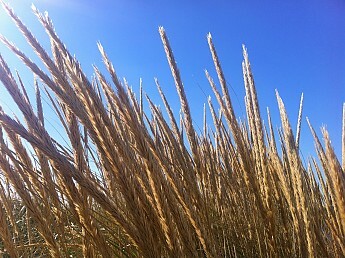 The grasses of the sand dunes. 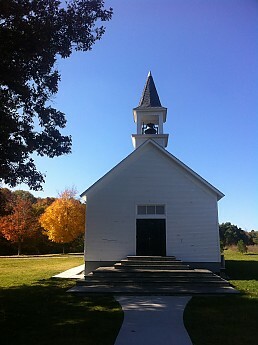 This old church was near the car park. I couldn't resist snapping a photo. Pretty nice. Reminds me of a similar recreation area in Tom's River NJ where my dad lives. Can't remember the name but it's a county Park with a combination of forested trails and elevated trails through salt marshes. Not nearly as big as the area you explored. Nice just the same. Pretty pictures, Kiwi. It looks like a relaxing spot for a midweek break. Beautiful pictures. 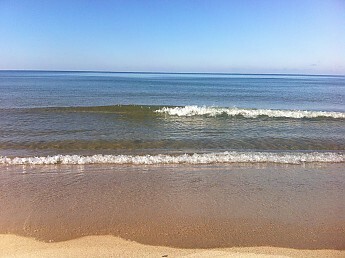 That Michigan shoreline sure is pretty! Kiwiklimber nice place for a hike man! Of course I may be slightly partial to large bodies of water and sand ( I live in coastal SC ) but...I think you made a good choice. 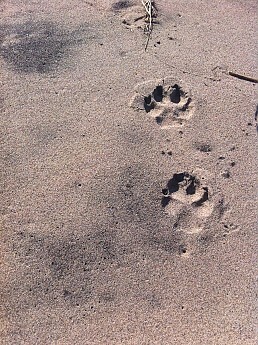 Thanks for the photos, we don't seem to see to many photos of sand on Trailspace - haha. I completely missed this thread. As a high school student, I spent my summers working at Pine Trail Camp in Saugatuck, MI. The camp was adjacent to the dunes and I would walk through those woods during my free time (though that area was not a state park at the time). I remember finding the tallest dunes possible and "cliff jumping" into the soft sand below. I have great memories of that area. Thanks for the photos! Nice hike pictures I hope to visit the Great Lakes someday! I grew up on Lake Ontario in upstate NY. Been 40 years almost since I have been back in 1977. We moved away in 1972 when I was 16. My nephew lives in Midland Michigan. Plan to start doing amtrak traveling next fall. Maybe get to Michigan in the spring of 2016. @Mike Gartman - while I hate "the beach" (meaning, going to the coast just to sit on the beach in the sweltering heat), I do love hiking coastal areas. The ecosystems are so rich and different than what I've grown used to being in the mountains. @Goose - While driving around Saugatuck, I think I actually passed by the camp you're talking about or at least close to it. I recall seeing a sign for Pine Trail Camp. @Gary Palmer - Amtrak is the way to go! I love traveling by rail. Scenic and spacious. You can see a lot of the US Great Lakes region by rail - from Niagara Falls to Milwaukee and further north with connecting services. I recommend it. Also check out VIA Rail Canada, which offers a lot of the options for rail service around the Great Lakes in Ontario and Quebec. All forums: Older: FS again: Kelty external frame Backpack Newer: There is no such thing as a "handicap"